Capturing the Spirit of Oakland Halloween Tours Tickets On Sale! Capturing the Spirit of Oakland Halloween Tours Tickets On Sale Tomorrow! Get ready to capture the spirit of the Historic Oakland Cemetery October 23 through October 31 with this special guided tour that takes you through the rich history of Atlanta. 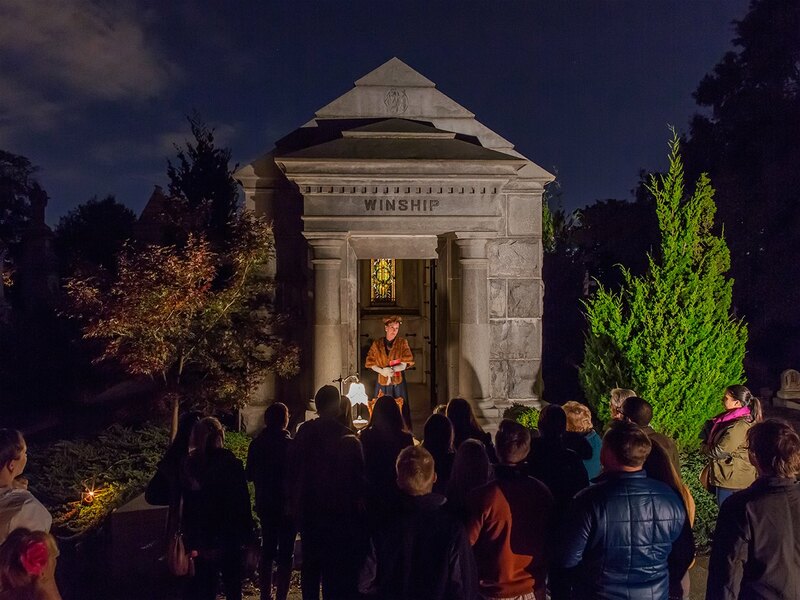 A costumed docent will guide you through the cemetery’s beautifully-lit Victorian gardens as you experience the stories of Atlanta’s sons and daughters come to life. This truly unique experience will be one you won’t soon forget! Each year, the cemetery brings to life the stories of six different souls buried at Historic Oakland. Designed to enlighten, not frighten, Capturing the Spirit of Oakland is a wonderful Halloween tradition! Tickets go on sale to the general public on Wednesday, July 15 at 9 AM EST through TicketAlternative.com. This event is family-friendly, but is recommended for children 8 and up. Tickets are $25 for Adults, $13 for Children ages 4-12, and Free for Children 3 and under. Be sure to purchase a souvenir event t-shirt when you get your tickets!